Is it possible to be cc'd on my meeting request emails? Yes! You can now be cc'd on your meeting request emails. Settings: For current users, this feature is OFF by default, but can be enabled from Settings > Meetings. For new users (that sign up after this feature was released) this option is ON by default. 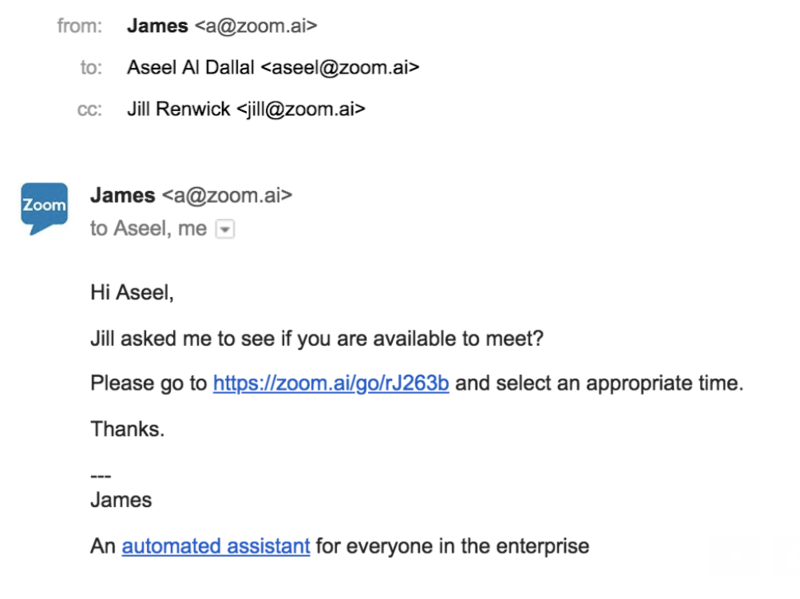 Aseel receives the current Zoom.ai invite email. If Cc is ON then Jill is also cc’d on the same invite email. Can my assistant text, email, or call on my behalf? Does Zoom.ai read my emails?